Tesla died on January 7, 1943. In his lifetime, he applied for over 800 different patents. Scientists continue to scour through his notes. The “Tesla bladeless disk turbine engine” that he designed, when made with modern materials, is proving to be among the most efficient motors ever made. Experiments conducted by Tesla using cryogenic liquids and electricity provide the foundation for modern superconductors. Tesla also talked about experiments that suggested particles with fractional charges of an electron. In 1977 (MANY years after Tesla) they were “discovered” as quarks, which is what all stuff in the universe is made of. Tesla was offered $50,000 to improve some of Edison’s ideas, but when he delivered, Edison claimed that he had only been “joking,” and refused to pay him. Tesla achieved the “impossible” by demonstrating a working brushless polyphase AC induction motor. In 1886, Tesla persuaded investors to fund the Tesla Electric Light & Manufacturing Company. Tesla invented a revolutionary arc lamp and the company made money. The investors then promptly reaped the profits and fired Tesla, who was forced into manual labor to survive. 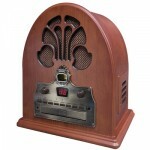 Although Tesla demonstrated his invention of the radio in 1893 and received a patent for it, the patent office stripped the award in 1904 and gave it instead to Guglielmo Marconi. (Both Thomas Edison and Andrew Carnegie had invested in Marconi and not in Tesla.) Tesla fought for 29 years to reacquire his patent, finally getting a hearing in the US Supreme Court. With finding that 15 of Marconi’s 16 patents were actually invented by Tesla himself, the court ruled in Tesla’s favor in 1944 – a year after his death. hen inventor George Washington Carver’s paintings were displayed at the 1893 World’s Fair Exposition, they were lit using Tesla’s AC power. n 1898, Tesla demonstrated a remote-controlled boat to the world. Tesla’s wireless device was the beginning of the technology that enabled robotics that were initially conceived by Leonardo da Vinci. Tesla worked for many years attempting his wireless transmission of electricity and believed that electricity could be projected into the upper atmosphere for storage and access at will. J Pierpont Morgan invested $150,000 in Tesla’s idea to build a gigantic radio transmitter, but then refused to invest any further. This is reportedly due to a revelation that Tesla was trying to transmit electrical power wirelessly. In order to keep electricity inexpensive to the public, Tesla sold George Westinghouse his royalties, which were worth $12 million, for just $216,000. If Tesla had kept his royalties, he may have been the first billionaire, sharing financial history with the likes of John D. Rockefeller, Howard Hughes, and Bill Gates. It would be more truthful to say that he was the man who would have invented the 20th century a little differently (less oil and more electricity), if he hadn’t experienced such violent opposition to his ideas, which time has shown to be some of the most incredible ideas in all of human history. Tesla invented the AC engine, bringing revolutionary changes in electrical power generation and transmission. Those ideas are the global standard today. Tesla was also frequently ridiculed for proposing “impossible” inventions, but then he went and invented them anyway. Whether or not he was a little bit crazy in the process of his creation is up for debate. 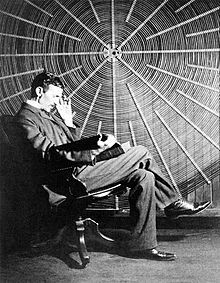 Tesla next to a high frequency coil he invented. What’s not open to debate is that Tesla was a man way ahead of his time, a man who challenged the status quo, and whose life was lived so that billions of people around the world could also live better lives. Those are the biggest lessons I’m taking from having learned so much about Tesla this week.